Shah Rukh Khan has his fingers crossed for Rohit Shetty’s next offering Singham 2 and hopes that it surpasses the box office success of Chennai Express. Singham 2, a sequel to one of the biggest hits of 2011, Singham, will have Ajay Devgn reprising the role of Bajirao Singham. The first one had crossed Rs 100 crore mark. “I would pray that Inshallah his (Rohit Shetty) next Singham 2 does much more business than Chennai Express because he deserves it,” Shah Rukh said here in an interview. SRK teamed up with Shetty for the first time in romantic comedy Chennai Express, which is still running superfast at the box office. The Rs 75 crore film not only earned over Rs 100 crore within first weekend, but it also crossed Rs 200 crore mark in just two weeks. 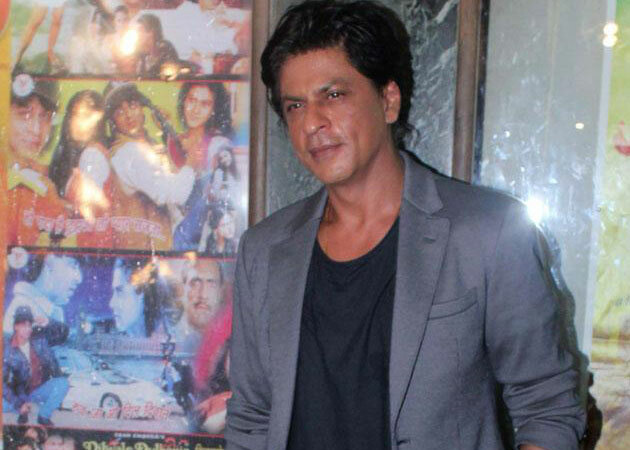 Shah Rukh credits the film’s success to Shetty. “Being a director is a very lonely job. So you don’t just thank them, you just stand by them. For the film also, as an actor, and as a friend we all tried to stand by him (Shetty)…,” said the superstar who is laughing all the way to the bank. SRK’s Red Chillies Entertainment co-produced Chennai Express with UTV Motion Pictures.